By Philip Seaton, Phillip Cribb, Margaret Ramsay and John Haggar. 2011. Royal Botanic Gardens, Kew. Softcover. 129 pages. 240 color photographs. $17–23. 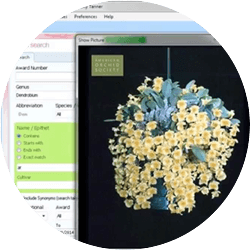 Books on hardy orchids — those orchids from the temperate climates of the world — are few in comparison with publications on tropical orchids. 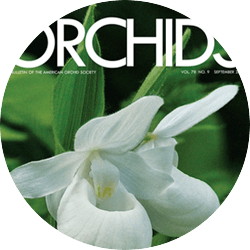 The newest addition to the short list of hardy orchid publications is Growing Hardy Orchids, a collaboration by Philip Seaton, Phillip Cribb, Margaret Ramsay and John Haggar. The book is available directly from the Royal Botanic Gardens, Kew, and various other online book sources or by ordering through a local bookstore in your community. 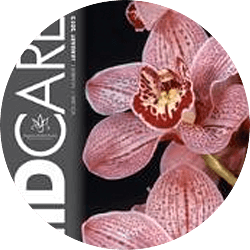 This latest Kewgrowing publication is a must have for all those who desire to add hardy orchids to their perennial garden or who are already cultivating these orchids. Within the book’s 129 pages there are approximately 240 color photographs in addition to numerous illustrated step-by-step guides to growing from seed, dividing, planting/potting and cultivation as well as dozens of individual photographs of species and some hybrids, which also include excellent cultural information. 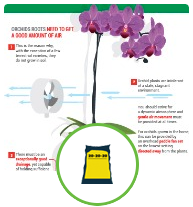 The book seems to not miss a beat with its coverage of how to grow hardy orchids. 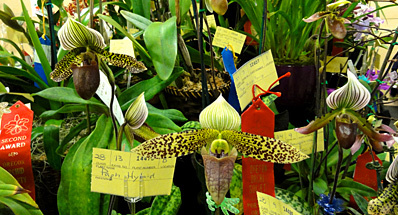 In the appropriately sized section on growing from seed, something most of us will never do, the information, photographs and illustrations are something we all should be familiar with whether this type of orchid cultivation is our passion or just a hobby. Information on the cultivation of seedlings is dispersed throughout the book in the various sections with genus and species cultural information. 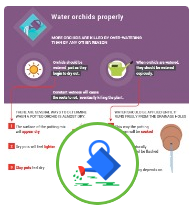 This information should not be overlooked, as seedling culture can be tricky at best and the more information you have the better your culture will be. The section on pests and diseases provides something previous books on hardy orchid culture may have not delved into in great detail. 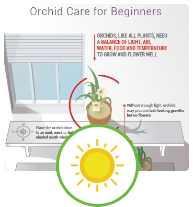 Here again, there is wonderful photography and illustrations that will be most beneficial to those new to hardy orchid cultivation in their garden, but also helpful to the seasoned grower. Growing Hardy Orchids is a true gardener’s book, not long on scientific jargon, but with enough to satisfy your needs for good cultivation. Its true glory is its down-to-earth basic care and culture information. Combining all these attributes makes Growing Hardy Orchids a book that I can see quickly having frayed corners and marked pages — it may even possibly end up rolled so to be able to be tucked into your pocket as you head to the potting bench or the garden. I would be remiss if I didn’t say one thing about the book’s title. A previously published book titled Growing Hardy Orchids by John Tullock (Timber Press, Portland. 2005) exists. It is also a very good source of information, but the two books should not be confused. The Royal Botanic Gardens, Kew, should have been more in tune to this recent publication’s name and avoided any chance at confusing the two, but more importantly they should have given their publication a name that allows it to stand out, as it justifiably deserves to do. Whether you are new to orchids or a seasoned horticulturalist, Growing Hardy Orchids should be added to your botanical library. 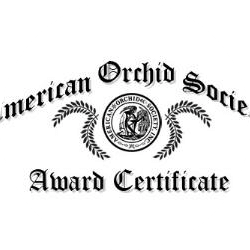 Tim Brooks, vice president, American Orchid Society, has previously written for Orchids magazine, with one article, “Cypripediums in the Garden” (September 2009), being on hardy orchids.